GT1549S Turbocharger can used on 2001- Renault Clio II 1.9 dTi Engine F9Q. GT1549S turbocharger can used on 2001- Renault Kangoo I 1.9 dCi Engine F9Q. GT1549S turbocharger can used on 2001- Renault Master II 1.9 dCi Engine F9Q. GT1549S turbocharger can used on 2000- Renault Megane I 1.9 dTi Engine F9Q. 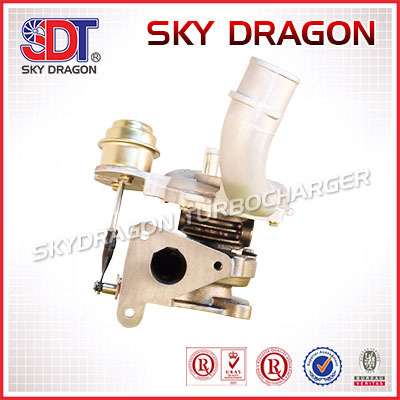 GT1549S turbocharger can used on 2001- Renault Trafic II 1.9 dCi Engine F9Q. GT1549S turbocharger can used on 2001-04 Volvo- S40 I 1.9 D Engine F9Q. GT1549S turbocharger can used on 2001-04 Volvo- V40 1.9 D Engine F9Q. Looking for ideal 717345-0002 751768-0001 8200091350B Manufacturer & supplier ? We have a wide selection at great prices to help you get creative. All the 8200091350A 7701478022 7711497500 are quality guaranteed. We are China Origin Factory of 8200046681A 8200046681B 8200091350A. If you have any question, please feel free to contact us.